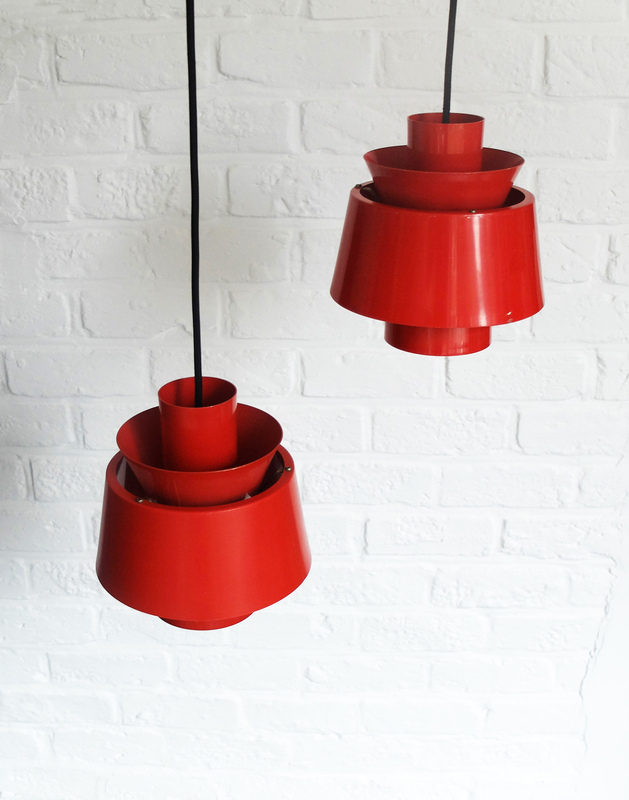 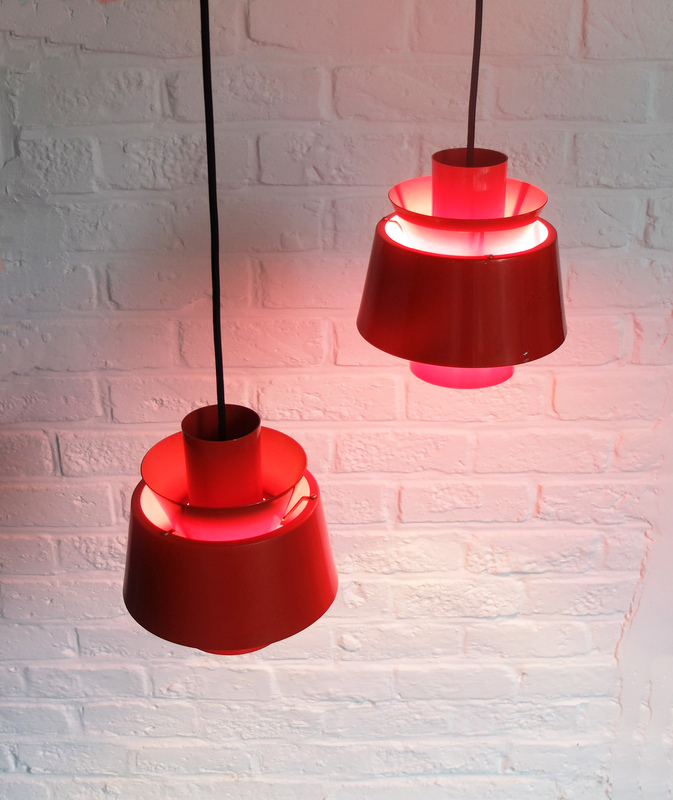 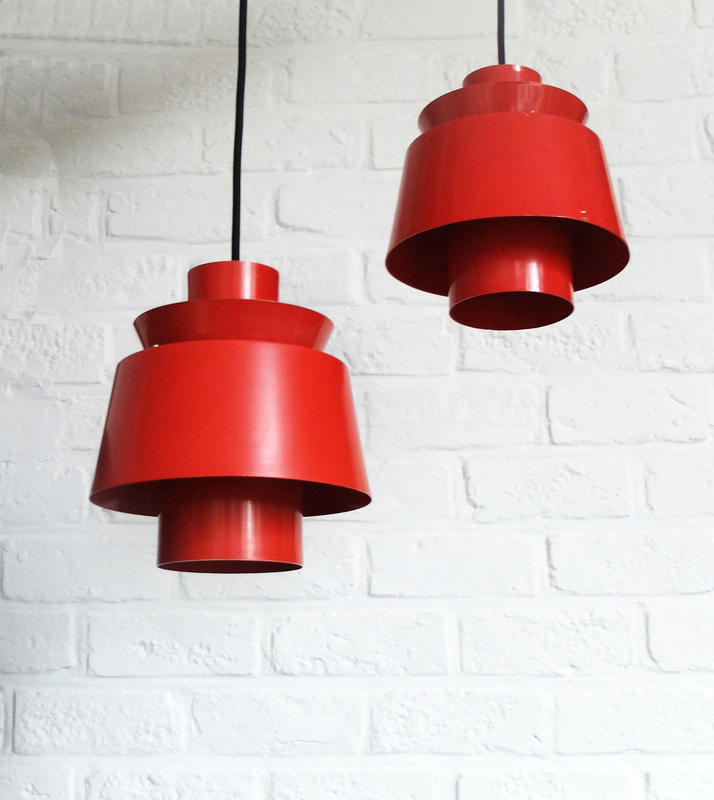 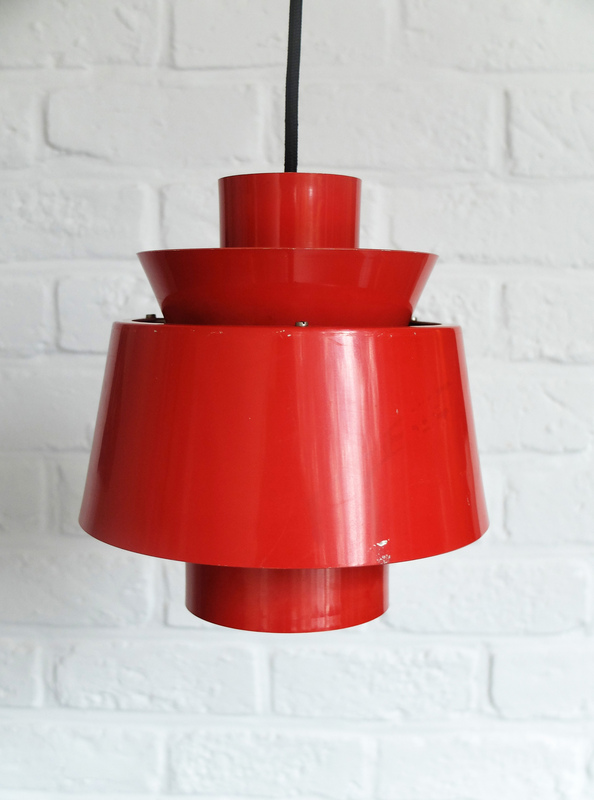 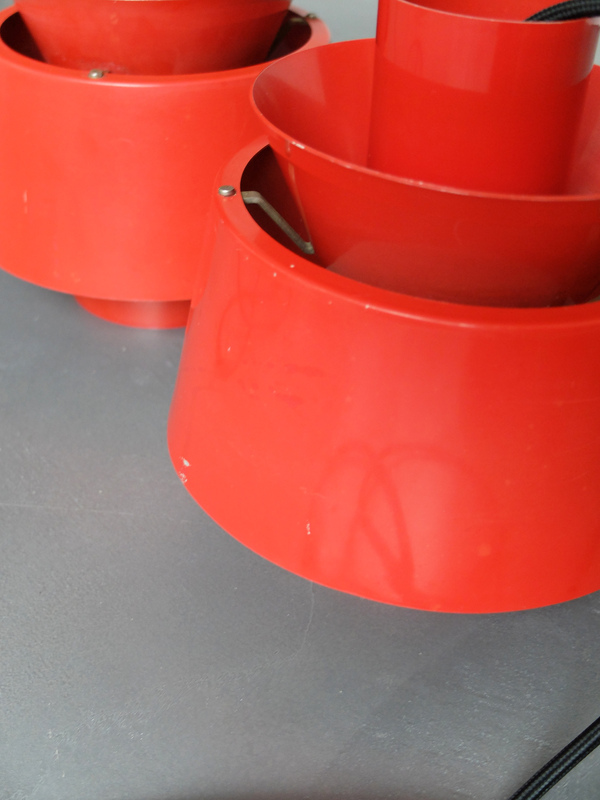 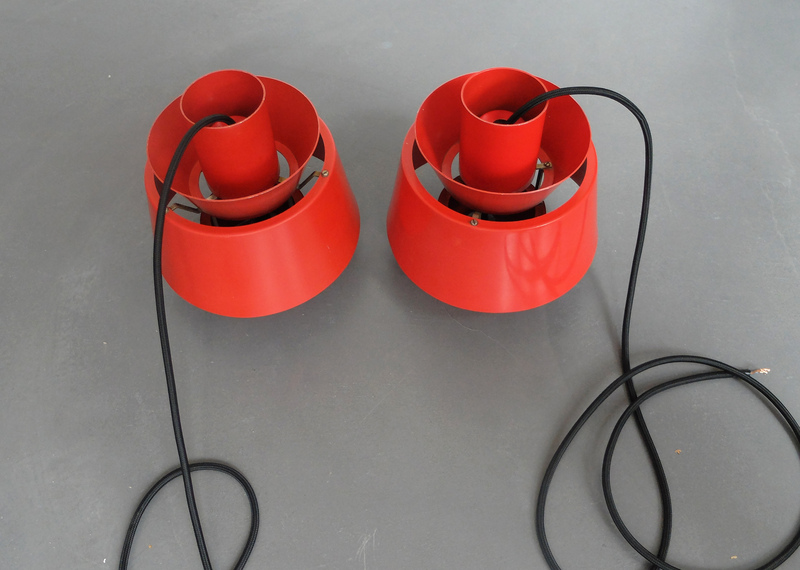 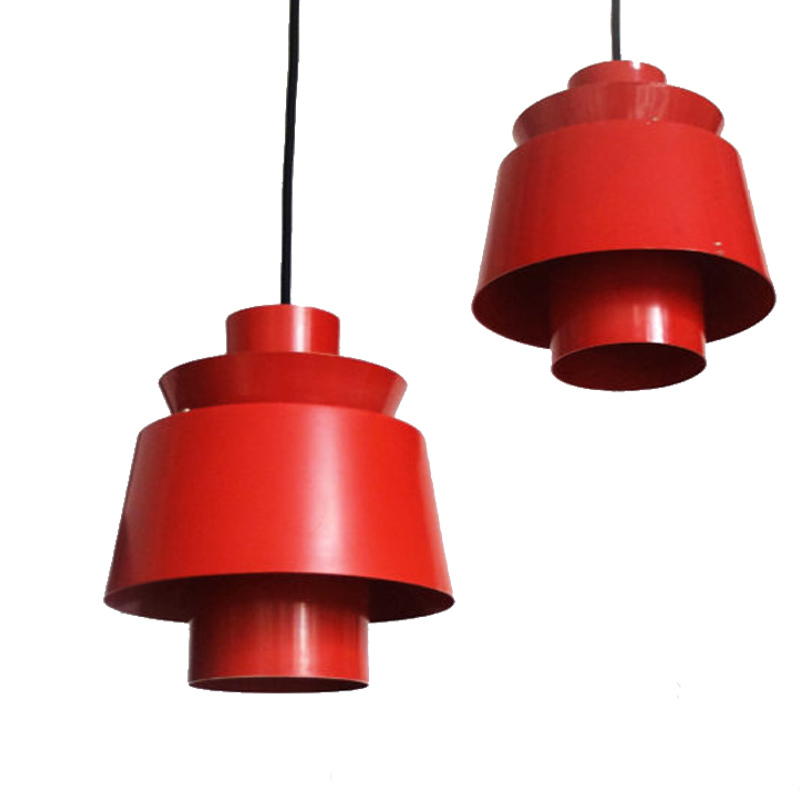 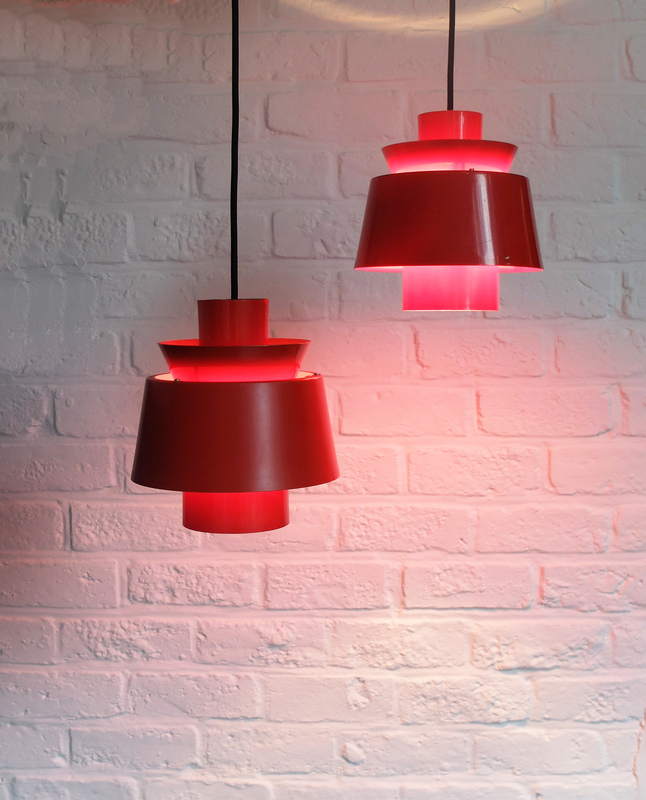 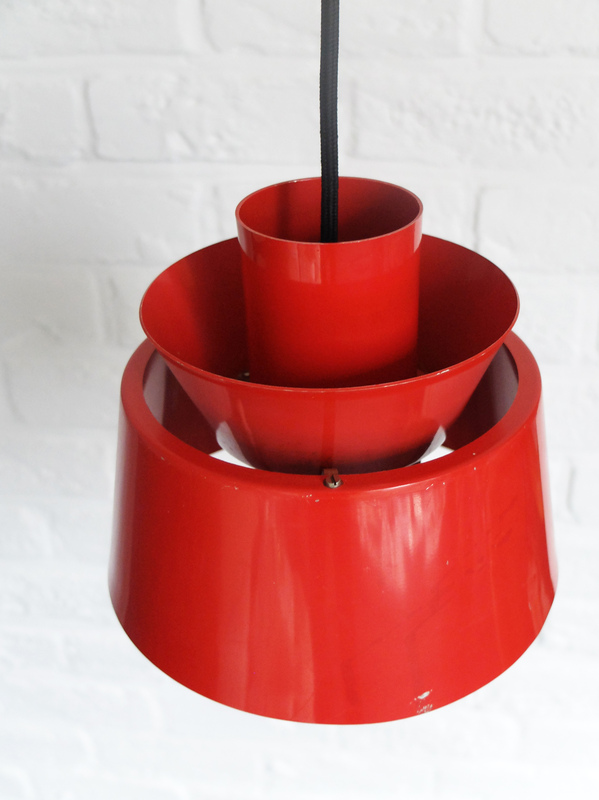 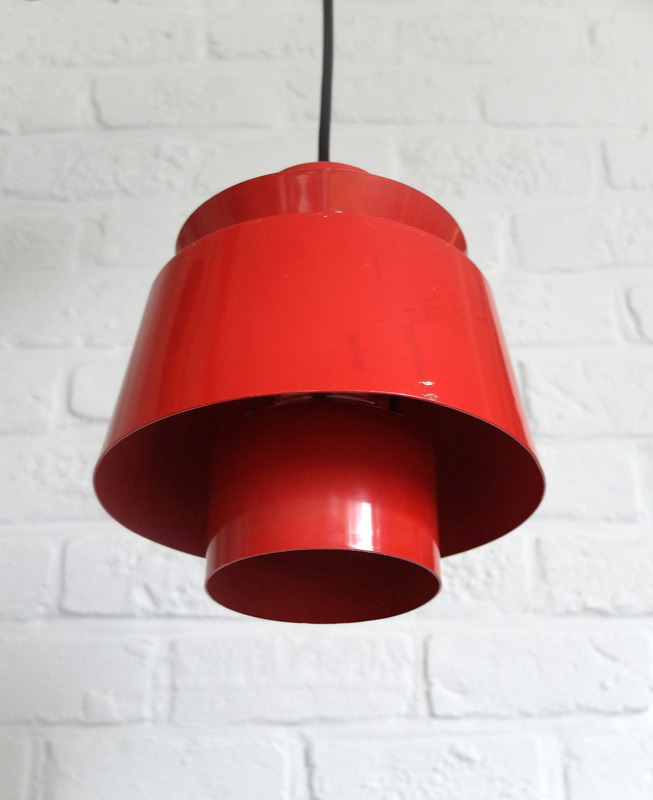 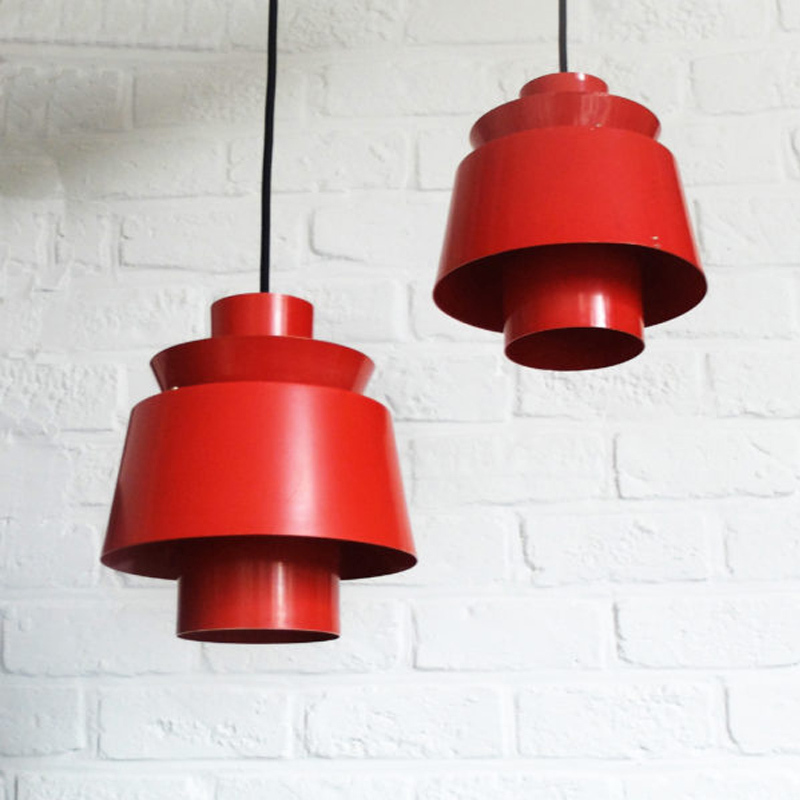 Pair of red Pendant Lamps, designed by the Danish architect Jørn Utzon for Nordisk Solar. 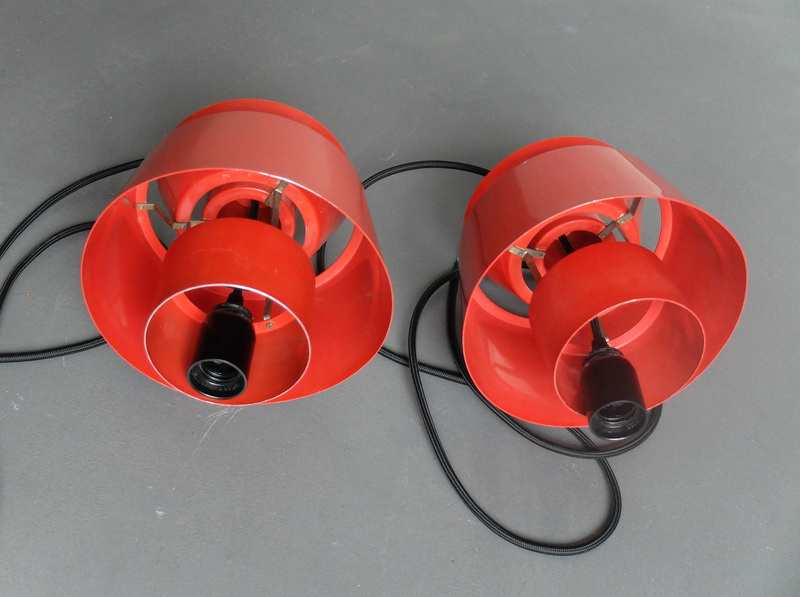 Vintage edition of the 1960s, Very good state, some light claws. 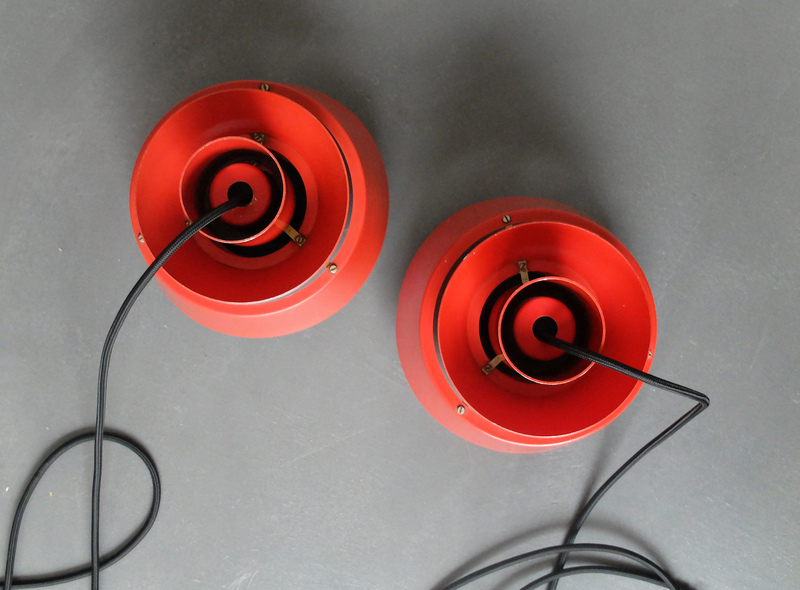 New stuffs and cables. 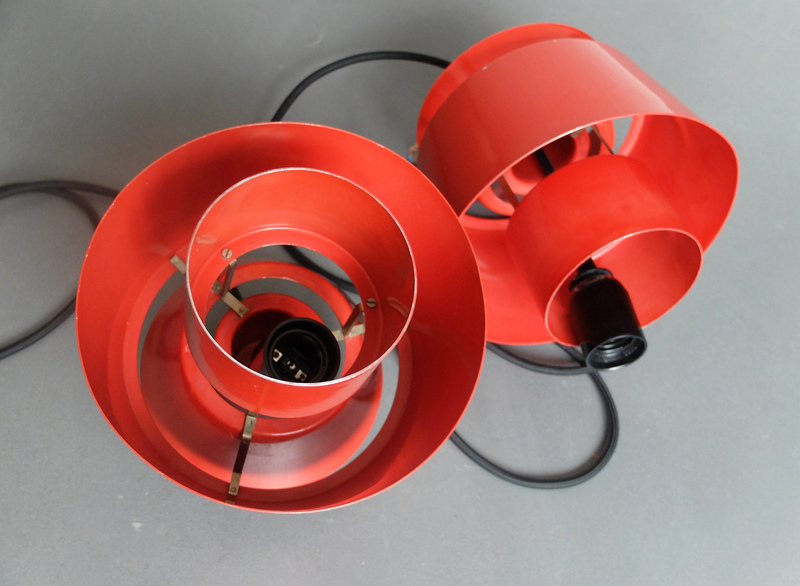 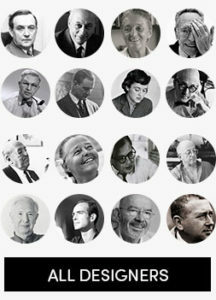 Dimensions: H. 22cm x D. 20cm. 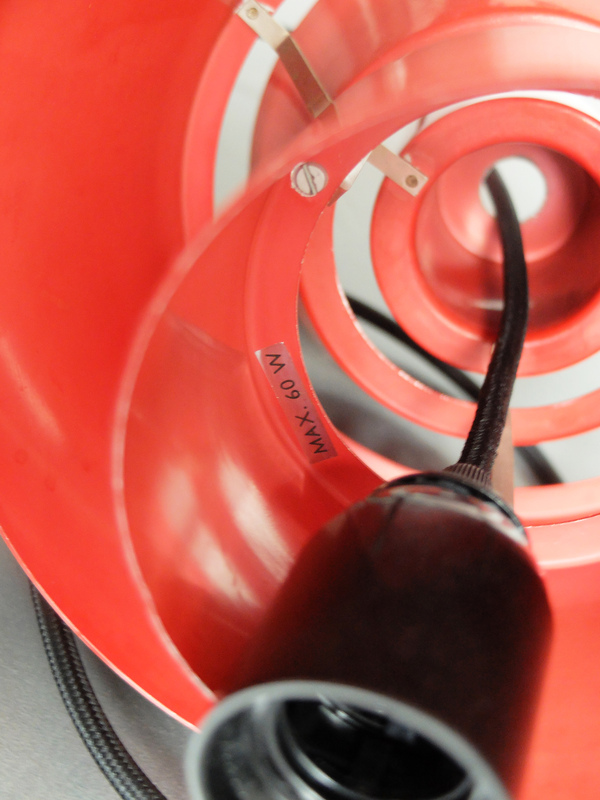 Minimum price for the offer must be greater than 346.5% of the Product.